STUNNING CONTEMPORARY MASTERPIECE located only steps to park, schools & shopping create the IDEAL INNER CITY LIFESTYLE! 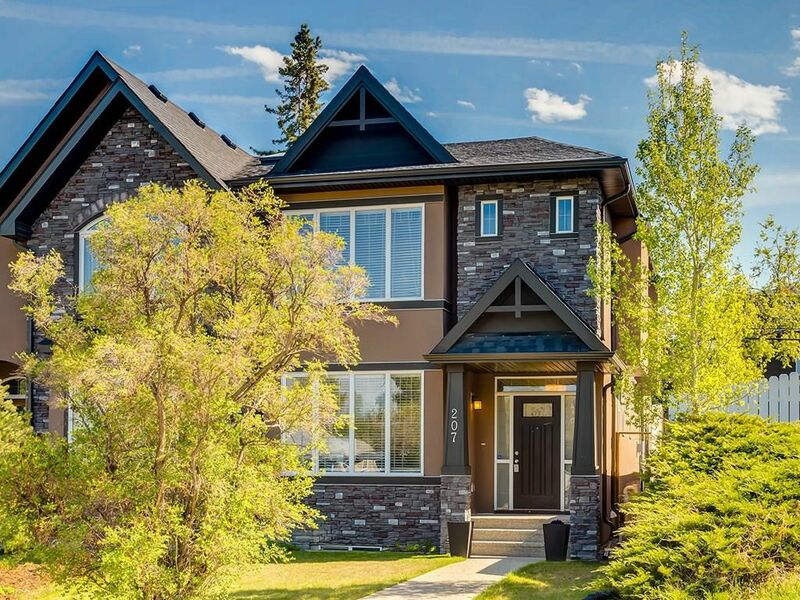 Beautifully finished on 3 levels w/ impressive floor plan. SOUTH FACING BACKYARD and large windows creates a bright sunny ambience thru-out this 4 bedroom home. Excellent open floor plan w/ main level den showcasing FRENCH DOORS, Large Kitchen Island finished w/ lovely GRANITE, High end STAINLESS STEEL appliances. Chic fireplace in living room adjacent dining rm is perfect for entertaining! And a powder rm complete this level. Skylight leads to 2nd level w/ large MASTER RETREAT, SPA LIKE ENSUITE, 2 generous bdrms all w/ walk-in closets, 4pc bath & laundry w/sink finish upper level. Lower level completed by builder to the same level of excellence. Spacious entertainment rm w/fireplace, large 4th bdrm, lovely 4pc & 2 storage rooms. Fully fenced, nicely landscaped, dble garage, concrete walkways. Short walk to CONFEDERATION PARK, 4th street restaurants & Ideal Transit! VIDEO TOUR ABOVE! Click above to for the live Video Tour!